Oftentimes, it can be quite difficult to discover the core challenges of prospects because these could be covered by superficial reasons that the real problem remains unknown to you. Failing to unearth their core challenges would mean failing to build trust with your customers and this equates to poor closes and poor sales. 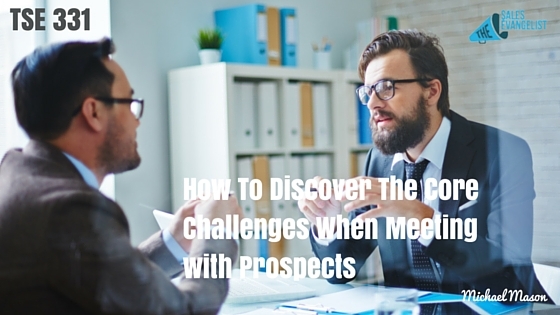 So how do you really dig deeper into your prospects’ core challenges? I’m bringing in Michael Mason on the show today to talk about this. Michael is an inside sales trainer for Avaya, a company that specializes in business communication solutions to help businesses better communicate both internally and with their customers. Michael specifically focuses on sales training, product training, and systems training. Michael is also the host of Smart Sales Pro Podcast where he talks and educates people about sales, specifically giving them tools, resources, and access to relevant information to help them become elite sales professionals. Being handed a canned script and being told to just read it and stick to it than being taught how to think for themselves, think like a customer does, and focus on identifying the wants, goals, and pains by asking meaningful discovery questions. Gather information about your customer. Go to their website or check out their social media to gather intelligence on your potential customer before you give them a call to give you a glimpse of what they’re thinking. Find commonalities and verticals in industries and businesses that are dealing with the same types of problems. Tell them stories. Take into consideration the service or solution you provide and look for a place where you can apply that product, service, or solution where those common challenges are. 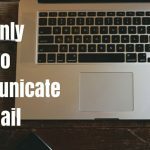 Speak the language of your audience. This will open up more doors of opportunity and conversations. It’s easy when you don’t skip steps in the beginning. Invest in yourself through reading, studying, going to seminars, etc. It’s going to take time to transition from your old habits to adjust but stick to it with consistency and persistence to see huge changes in your success. Learn more. Earn more. Become an expert. Always be learning. Always be looking for an advantage. Never give up. Continue to work on you attempts to becoming an elite sales professional. You will become an expert the more you continue to learn.